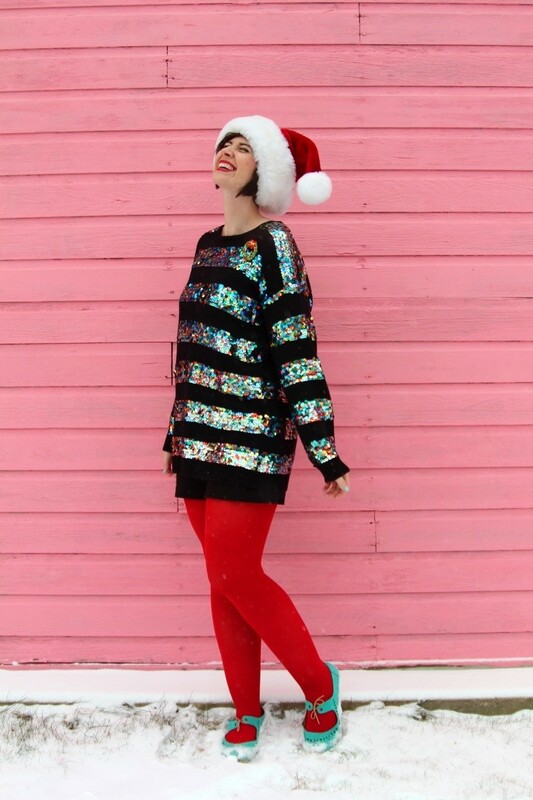 Here’s an outfit to make your season merry & bright! I’m so excited we got snow just in time for Christmas because it’s the perfect accessory to compliment this festive outfit I’m rocking. Keep scrolling to shop similar pieces and learn more about the inspo behind this look! 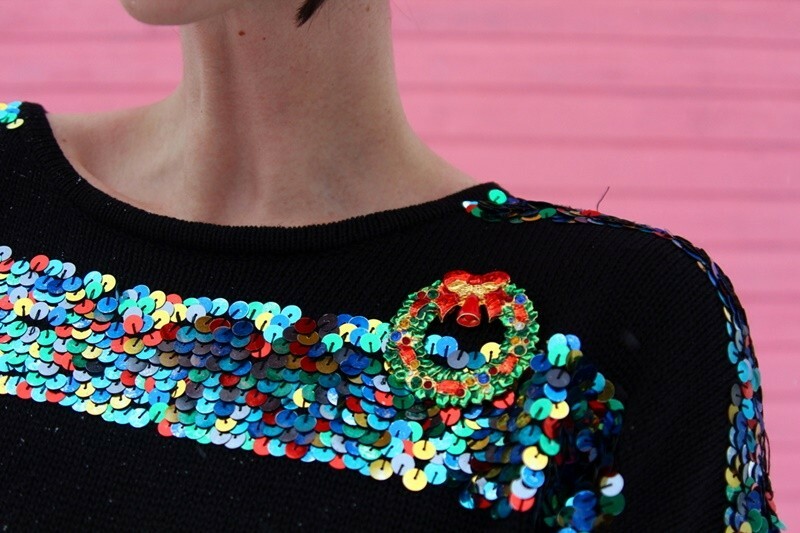 This sequined sweater made it into my favorite thrift finds of 2017 video and with good reason! It’s so shiny and colorful and I’m pretty sure it’s made from magic. In real life I’ve been wearing it on repeat with jeans and leggings but for Christmas I wanted to style it extra special. I was originally going to wear it with a skirt but didn’t want to take a chance with the cold weather so I went with high waisted black shorts + these red tights for the win. It’s a cozy combo that’s very low fuss. 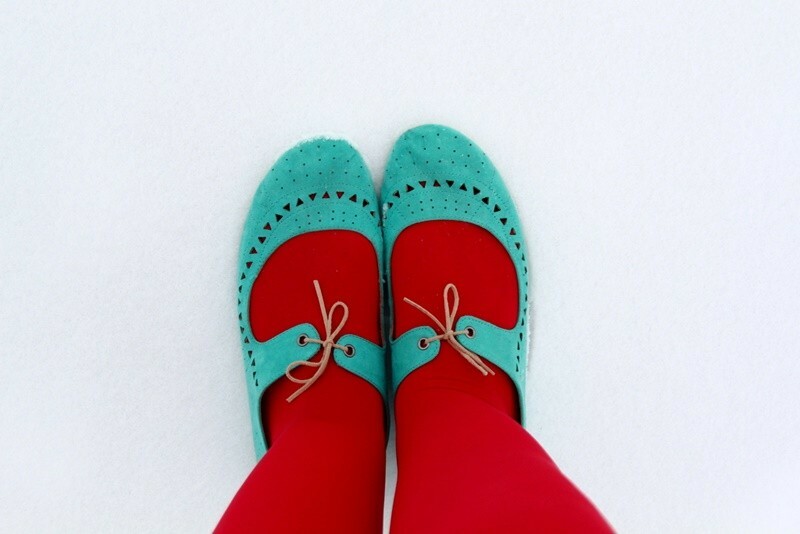 I actually liked this look so much that I wore it in my Christmas card! Be sure to stop by my Instagram to see who made an appearance with me. Psst… want to make someones day? Share this post with a friend or Pin it to Pinterest!